Searching for a new Nissan Altima for sale near New Britain? With 87 to choose from, Middletown Nissan has you covered. Find a Nissan Altima with the safety features you’re looking for such as Intelligent Forward Collision Warning and Automatic Emergency Braking. Stay connected on your Meriden commute in an Altima S with NissanConnect featuring an 8-inch touchscreen display and Apple CarPlay. Browse our inventory to discover the new Nissan Altima for sale the has just the right color, performance, and technology for you. 2019 Nissan Altima 2.5 S 2.5L 4-Cylinder CVT with Xtronic FWD Brilliant Silver Metallic 4D Sedan 2019 is here!! All remaining 2018's will be priced at close out pricing! Even some 2018's With great options like CVT with Xtronic, 4-Wheel Disc Brakes, 6 Speakers, ABS brakes, Air Conditioning, AM/FM radio: SiriusXM, Brake assist, Bumpers: body-color, Cloth Seat Trim, Delay-off headlights, Driver door bin, Driver vanity mirror, Dual front impact airbags, Dual front side impact airbags, Electronic Stability Control, Floor Mats & Trunk Mat, Four wheel independent suspension, Front anti-roll bar, Front Bucket Seats, Front Center Armrest w/Storage, Front reading lights, Fully automatic headlights, Illuminated entry, Knee airbag, Low tire pressure warning, Occupant sensing airbag, Outside temperature display, Overhead airbag, Overhead console, Panic alarm, Passenger door bin, Passenger vanity mirror, Power door mirrors, Power driver seat, Power steering, Power windows, Radio data system, Radio: AM/FM Audio System, Rear anti-roll bar, Rear reading lights, Rear seat center armrest, Rear side impact airbag, Rear window defroster, Remote keyless entry, Security system, Speed control, Speed-sensing steering, Split folding rear seat, Steering wheel mounted audio controls, Tachometer, Telescoping steering wheel, Tilt steering wheel, Traction control, Trip computer, Variably intermittent wipers, and Wheels: 16" x 7" Steel w/Full Wheel Covers. CVT with Xtronic. Our Sales, Service and Parts Departments work closely together to provide you with the most enjoyable, least stressful car-buying experience possible. The average tenure for our sales people, managers, technicians and all other employees is over 20 years. Most of them have been career employees of Middletown Nissan - and with that much experience, you can be sure they'll provide you with the highest quality care for you and your vehicle. We are also proud to be a Better Business Bureau Accredited Business with an A+ rating. Recent Arrival! 2019 Nissan Altima 2.5 S 2.5L 4-Cylinder CVT with Xtronic FWD Glacier White 4D Sedan 2019 is here!! All remaining 2018's will be priced at close out pricing! Even some 2018's With great options like CVT with Xtronic, 4-Wheel Disc Brakes, 6 Speakers, ABS brakes, Air Conditioning, AM/FM radio: SiriusXM, Brake assist, Bumpers: body-color, Cloth Seat Trim, Delay-off headlights, Driver door bin, Driver vanity mirror, Dual front impact airbags, Dual front side impact airbags, Electronic Stability Control, Floor Mats & Trunk Mat, Four wheel independent suspension, Front anti-roll bar, Front Bucket Seats, Front Center Armrest w/Storage, Front reading lights, Fully automatic headlights, Illuminated entry, Knee airbag, Low tire pressure warning, Occupant sensing airbag, Outside temperature display, Overhead airbag, Overhead console, Panic alarm, Passenger door bin, Passenger vanity mirror, Power door mirrors, Power driver seat, Power steering, Power windows, Radio data system, Radio: AM/FM Audio System, Rear anti-roll bar, Rear reading lights, Rear seat center armrest, Rear side impact airbag, Rear window defroster, Remote keyless entry, Security system, Speed control, Speed-sensing steering, Split folding rear seat, Steering wheel mounted audio controls, Tachometer, Telescoping steering wheel, Tilt steering wheel, Traction control, Trip computer, Variably intermittent wipers, and Wheels: 16" x 7" Steel w/Full Wheel Covers. CVT with Xtronic. Our Sales, Service and Parts Departments work closely together to provide you with the most enjoyable, least stressful car-buying experience possible. The average tenure for our sales people, managers, technicians and all other employees is over 20 years. Most of them have been career employees of Middletown Nissan - and with that much experience, you can be sure they'll provide you with the highest quality care for you and your vehicle. We are also proud to be a Better Business Bureau Accredited Business with an A+ rating. 2019 Nissan Altima 2.5 S 2.5L 4-Cylinder CVT with Xtronic FWD Brilliant Silver Metallic 4D Sedan 2019 is here!! All remaining 2018's will be priced at close out pricing! Even some 2018's With great options like CVT with Xtronic, 4-Wheel Disc Brakes, 6 Speakers, ABS brakes, Air Conditioning, AM/FM radio: SiriusXM, Body-Colored Splash Guards, Brake assist, Bumpers: body-color, Cloth Seat Trim, Delay-off headlights, Driver door bin, Driver vanity mirror, Dual front impact airbags, Dual front side impact airbags, Electronic Stability Control, Floor Mats & Trunk Mat, Four wheel independent suspension, Front anti-roll bar, Front Bucket Seats, Front Center Armrest w/Storage, Front reading lights, Fully automatic headlights, Illuminated entry, Knee airbag, Low tire pressure warning, Occupant sensing airbag, Outside temperature display, Overhead airbag, Overhead console, Panic alarm, Passenger door bin, Passenger vanity mirror, Power door mirrors, Power driver seat, Power steering, Power windows, Radio data system, Radio: AM/FM Audio System, Rear anti-roll bar, Rear reading lights, Rear seat center armrest, Rear side impact airbag, Rear window defroster, Remote keyless entry, Security system, Speed control, Speed-sensing steering, Split folding rear seat, Steering wheel mounted audio controls, Tachometer, Telescoping steering wheel, Tilt steering wheel, Traction control, Trip computer, Variably intermittent wipers, and Wheels: 16" x 7" Steel w/Full Wheel Covers. CVT with Xtronic. Our Sales, Service and Parts Departments work closely together to provide you with the most enjoyable, least stressful car-buying experience possible. The average tenure for our sales people, managers, technicians and all other employees is over 20 years. Most of them have been career employees of Middletown Nissan - and with that much experience, you can be sure they'll provide you with the highest quality care for you and your vehicle. We are also proud to be a Better Business Bureau Accredited Business with an A+ rating. HARTFORD'S FASTEST GROWING NISSAN STORE. Nissan Altima Deep Blue Pearl FWD 28/39 City/Highway MPG LARGEST NEW AND USED INVENTORY IN CONNECTICUT! HARTFORD'S FASTEST GROWING NISSAN STORE. Nissan Altima Glacier White FWD 28/39 City/Highway MPG LARGEST NEW AND USED INVENTORY IN CONNECTICUT! 2019 Nissan Altima 2.5 S 2.5L 4-Cylinder CVT with Xtronic AWD Gun Metallic 4D Sedan 2019 is here!! All remaining 2018's will be priced at close out pricing! Even some 2018's With great options like CVT with Xtronic, 4-Wheel Disc Brakes, 6 Speakers, ABS brakes, Air Conditioning, AM/FM radio: SiriusXM, Body-Colored Splash Guards, Brake assist, Bumpers: body-color, Cloth Seat Trim, Delay-off headlights, Driver door bin, Driver vanity mirror, Dual front impact airbags, Dual front side impact airbags, Electronic Stability Control, Four wheel independent suspension, Front anti-roll bar, Front Bucket Seats, Front Center Armrest w/Storage, Front reading lights, Fully automatic headlights, Illuminated entry, Knee airbag, Low tire pressure warning, Occupant sensing airbag, Outside temperature display, Overhead airbag, Overhead console, Panic alarm, Passenger door bin, Passenger vanity mirror, Power door mirrors, Power driver seat, Power steering, Power windows, Radio data system, Radio: AM/FM Audio System, Rear anti-roll bar, Rear reading lights, Rear seat center armrest, Rear side impact airbag, Rear window defroster, Remote keyless entry, Security system, Speed control, Speed-sensing steering, Split folding rear seat, Steering wheel mounted audio controls, Tachometer, Telescoping steering wheel, Tilt steering wheel, Traction control, Trip computer, Variably intermittent wipers, and Wheels: 16" x 7" Steel w/Full Wheel Covers. CVT with Xtronic. Our Sales, Service and Parts Departments work closely together to provide you with the most enjoyable, least stressful car-buying experience possible. The average tenure for our sales people, managers, technicians and all other employees is over 20 years. Most of them have been career employees of Middletown Nissan - and with that much experience, you can be sure they'll provide you with the highest quality care for you and your vehicle. We are also proud to be a Better Business Bureau Accredited Business with an A+ rating. 2019 Nissan Altima 2.5 S 2.5L 4-Cylinder CVT with Xtronic AWD Super Black 4D Sedan 2019 is here!! All remaining 2018's will be priced at close out pricing! Even some 2018's With great options like CVT with Xtronic, 4-Wheel Disc Brakes, 6 Speakers, ABS brakes, Air Conditioning, AM/FM radio: SiriusXM, Body-Colored Splash Guards, Brake assist, Bumpers: body-color, Cloth Seat Trim, Delay-off headlights, Driver door bin, Driver vanity mirror, Dual front impact airbags, Dual front side impact airbags, Electronic Stability Control, Four wheel independent suspension, Front anti-roll bar, Front Bucket Seats, Front Center Armrest w/Storage, Front reading lights, Fully automatic headlights, Illuminated entry, Knee airbag, Low tire pressure warning, Occupant sensing airbag, Outside temperature display, Overhead airbag, Overhead console, Panic alarm, Passenger door bin, Passenger vanity mirror, Power door mirrors, Power driver seat, Power steering, Power windows, Radio data system, Radio: AM/FM Audio System, Rear anti-roll bar, Rear reading lights, Rear seat center armrest, Rear side impact airbag, Rear window defroster, Remote keyless entry, Security system, Speed control, Speed-sensing steering, Split folding rear seat, Steering wheel mounted audio controls, Tachometer, Telescoping steering wheel, Tilt steering wheel, Traction control, Trip computer, Variably intermittent wipers, and Wheels: 16" x 7" Steel w/Full Wheel Covers. CVT with Xtronic. Our Sales, Service and Parts Departments work closely together to provide you with the most enjoyable, least stressful car-buying experience possible. The average tenure for our sales people, managers, technicians and all other employees is over 20 years. Most of them have been career employees of Middletown Nissan - and with that much experience, you can be sure they'll provide you with the highest quality care for you and your vehicle. We are also proud to be a Better Business Bureau Accredited Business with an A+ rating. 2019 Nissan Altima 2.5 S 2.5L 4-Cylinder CVT with Xtronic AWD Brilliant Silver Metallic 4D Sedan 2019 is here!! All remaining 2018's will be priced at close out pricing! Even some 2018's With great options like CVT with Xtronic, 4-Wheel Disc Brakes, 6 Speakers, ABS brakes, Air Conditioning, AM/FM radio: SiriusXM, Body-Colored Splash Guards, Brake assist, Bumpers: body-color, Cloth Seat Trim, Delay-off headlights, Driver door bin, Driver vanity mirror, Dual front impact airbags, Dual front side impact airbags, Electronic Stability Control, Four wheel independent suspension, Front anti-roll bar, Front Bucket Seats, Front Center Armrest w/Storage, Front reading lights, Fully automatic headlights, Illuminated entry, Knee airbag, Low tire pressure warning, Occupant sensing airbag, Outside temperature display, Overhead airbag, Overhead console, Panic alarm, Passenger door bin, Passenger vanity mirror, Power door mirrors, Power driver seat, Power steering, Power windows, Radio data system, Radio: AM/FM Audio System, Rear anti-roll bar, Rear reading lights, Rear seat center armrest, Rear side impact airbag, Rear window defroster, Remote keyless entry, Security system, Speed control, Speed-sensing steering, Split folding rear seat, Steering wheel mounted audio controls, Tachometer, Telescoping steering wheel, Tilt steering wheel, Traction control, Trip computer, Variably intermittent wipers, and Wheels: 16" x 7" Steel w/Full Wheel Covers. CVT with Xtronic. Our Sales, Service and Parts Departments work closely together to provide you with the most enjoyable, least stressful car-buying experience possible. The average tenure for our sales people, managers, technicians and all other employees is over 20 years. Most of them have been career employees of Middletown Nissan - and with that much experience, you can be sure they'll provide you with the highest quality care for you and your vehicle. We are also proud to be a Better Business Bureau Accredited Business with an A+ rating. 2019 Nissan Altima 2.5 SR 2.5L 4-Cylinder CVT with Xtronic FWD Brilliant Silver Metallic 4D Sedan 2019 is here!! All remaining 2018's will be priced at close out pricing! Even some 2018's With great options like CVT with Xtronic, 19" Alloy Wheels, 4-Wheel Disc Brakes, 6 Speakers, ABS brakes, Air Conditioning, AM/FM radio: SiriusXM, Blind spot sensor: Blind Spot Warning (BSW) warning, Brake assist, Bumpers: body-color, Delay-off headlights, Driver door bin, Driver vanity mirror, Dual front impact airbags, Dual front side impact airbags, Electronic Stability Control, Four wheel independent suspension, Front anti-roll bar, Front Bucket Seats, Front Center Armrest w/Storage, Front reading lights, Front Sport Bucket Seats, Fully automatic headlights, Illuminated entry, Knee airbag, Leather Shift Knob, Low tire pressure warning, Occupant sensing airbag, Outside temperature display, Overhead airbag, Overhead console, Panic alarm, Passenger door bin, Passenger vanity mirror, Power door mirrors, Power driver seat, Power steering, Power windows, Radio data system, Radio: AM/FM Audio System, Rear anti-roll bar, Rear reading lights, Rear seat center armrest, Rear side impact airbag, Rear window defroster, Remote keyless entry, Security system, Speed control, Speed-sensing steering, Split folding rear seat, Spoiler, Sport Seat Trim, SR Floor Mats/Trunk Mat/Hideaway Nets, Steering wheel mounted audio controls, Tachometer, Telescoping steering wheel, Tilt steering wheel, Traction control, Trip computer, and Variably intermittent wipers. CVT with Xtronic. Our Sales, Service and Parts Departments work closely together to provide you with the most enjoyable, least stressful car-buying experience possible. The average tenure for our sales people, managers, technicians and all other employees is over 20 years. Most of them have been career employees of Middletown Nissan - and with that much experience, you can be sure they'll provide you with the highest quality care for you and your vehicle. We are also proud to be a Better Business Bureau Accredited Business with an A+ rating. 2019 Nissan Altima 2.5 SR 2.5L 4-Cylinder CVT with Xtronic FWD Super Black 4D Sedan 2019 is here!! All remaining 2018's will be priced at close out pricing! Even some 2018's With great options like CVT with Xtronic, 19" Alloy Wheels, 4-Wheel Disc Brakes, 6 Speakers, ABS brakes, Air Conditioning, AM/FM radio: SiriusXM, Blind spot sensor: Blind Spot Warning (BSW) warning, Brake assist, Bumpers: body-color, Delay-off headlights, Driver door bin, Driver vanity mirror, Dual front impact airbags, Dual front side impact airbags, Electronic Stability Control, Four wheel independent suspension, Front anti-roll bar, Front Bucket Seats, Front Center Armrest w/Storage, Front reading lights, Front Sport Bucket Seats, Fully automatic headlights, Illuminated entry, Knee airbag, Leather Shift Knob, Low tire pressure warning, Occupant sensing airbag, Outside temperature display, Overhead airbag, Overhead console, Panic alarm, Passenger door bin, Passenger vanity mirror, Power door mirrors, Power driver seat, Power steering, Power windows, Radio data system, Radio: AM/FM Audio System, Rear anti-roll bar, Rear reading lights, Rear seat center armrest, Rear side impact airbag, Rear window defroster, Remote keyless entry, Security system, Speed control, Speed-sensing steering, Split folding rear seat, Spoiler, Sport Seat Trim, SR Floor Mats/Trunk Mat/Hideaway Nets, Steering wheel mounted audio controls, Tachometer, Telescoping steering wheel, Tilt steering wheel, Traction control, Trip computer, and Variably intermittent wipers. CVT with Xtronic. Our Sales, Service and Parts Departments work closely together to provide you with the most enjoyable, least stressful car-buying experience possible. The average tenure for our sales people, managers, technicians and all other employees is over 20 years. Most of them have been career employees of Middletown Nissan - and with that much experience, you can be sure they'll provide you with the highest quality care for you and your vehicle. We are also proud to be a Better Business Bureau Accredited Business with an A+ rating. Recent Arrival! 2019 Nissan Altima 2.5 SR 2.5L 4-Cylinder CVT with Xtronic FWD Super Black 4D Sedan 2019 is here!! All remaining 2018's will be priced at close out pricing! Even some 2018's With great options like CVT with Xtronic, 19" Alloy Wheels, 4-Wheel Disc Brakes, 6 Speakers, ABS brakes, Air Conditioning, AM/FM radio: SiriusXM, Blind spot sensor: Blind Spot Warning (BSW) warning, Brake assist, Bumpers: body-color, Delay-off headlights, Driver door bin, Driver vanity mirror, Dual front impact airbags, Dual front side impact airbags, Electronic Stability Control, Four wheel independent suspension, Front anti-roll bar, Front Bucket Seats, Front Center Armrest w/Storage, Front reading lights, Front Sport Bucket Seats, Fully automatic headlights, Illuminated entry, Knee airbag, Leather Shift Knob, Low tire pressure warning, Occupant sensing airbag, Outside temperature display, Overhead airbag, Overhead console, Panic alarm, Passenger door bin, Passenger vanity mirror, Power door mirrors, Power driver seat, Power steering, Power windows, Radio data system, Radio: AM/FM Audio System, Rear anti-roll bar, Rear reading lights, Rear seat center armrest, Rear side impact airbag, Rear window defroster, Remote keyless entry, Security system, Speed control, Speed-sensing steering, Split folding rear seat, Spoiler, Sport Seat Trim, SR Floor Mats/Trunk Mat/Hideaway Nets, Steering wheel mounted audio controls, Tachometer, Telescoping steering wheel, Tilt steering wheel, Traction control, Trip computer, and Variably intermittent wipers. CVT with Xtronic. Our Sales, Service and Parts Departments work closely together to provide you with the most enjoyable, least stressful car-buying experience possible. The average tenure for our sales people, managers, technicians and all other employees is over 20 years. Most of them have been career employees of Middletown Nissan - and with that much experience, you can be sure they'll provide you with the highest quality care for you and your vehicle. We are also proud to be a Better Business Bureau Accredited Business with an A+ rating. Recent Arrival! 2019 Nissan Altima 2.5 SR 2.5L 4-Cylinder CVT with Xtronic FWD Gun Metallic 4D Sedan 2019 is here!! All remaining 2018's will be priced at close out pricing! Even some 2018's With great options like CVT with Xtronic, 19" Alloy Wheels, 4-Wheel Disc Brakes, 6 Speakers, ABS brakes, Air Conditioning, AM/FM radio: SiriusXM, Blind spot sensor: Blind Spot Warning (BSW) warning, Brake assist, Bumpers: body-color, Delay-off headlights, Driver door bin, Driver vanity mirror, Dual front impact airbags, Dual front side impact airbags, Electronic Stability Control, Four wheel independent suspension, Front anti-roll bar, Front Bucket Seats, Front Center Armrest w/Storage, Front reading lights, Front Sport Bucket Seats, Fully automatic headlights, Illuminated entry, Knee airbag, Leather Shift Knob, Low tire pressure warning, Occupant sensing airbag, Outside temperature display, Overhead airbag, Overhead console, Panic alarm, Passenger door bin, Passenger vanity mirror, Power door mirrors, Power driver seat, Power steering, Power windows, Radio data system, Radio: AM/FM Audio System, Rear anti-roll bar, Rear reading lights, Rear seat center armrest, Rear side impact airbag, Rear window defroster, Remote keyless entry, Security system, Speed control, Speed-sensing steering, Split folding rear seat, Spoiler, Sport Seat Trim, SR Floor Mats/Trunk Mat/Hideaway Nets, Steering wheel mounted audio controls, Tachometer, Telescoping steering wheel, Tilt steering wheel, Traction control, Trip computer, and Variably intermittent wipers. CVT with Xtronic. Our Sales, Service and Parts Departments work closely together to provide you with the most enjoyable, least stressful car-buying experience possible. The average tenure for our sales people, managers, technicians and all other employees is over 20 years. Most of them have been career employees of Middletown Nissan - and with that much experience, you can be sure they'll provide you with the highest quality care for you and your vehicle. We are also proud to be a Better Business Bureau Accredited Business with an A+ rating. 2019 Nissan Altima 2.5 S 2.5L 4-Cylinder CVT with Xtronic AWD Super Black 4D Sedan 2019 is here!! All remaining 2018's will be priced at close out pricing! Even some 2018's With great options like CVT with Xtronic, 4-Wheel Disc Brakes, 6 Speakers, ABS brakes, Air Conditioning, AM/FM radio: SiriusXM, Body-Colored Splash Guards, Brake assist, Bumpers: body-color, Cloth Seat Trim, Delay-off headlights, Driver door bin, Driver vanity mirror, Dual front impact airbags, Dual front side impact airbags, Electronic Stability Control, Floor Mats & Trunk Mat, Four wheel independent suspension, Front anti-roll bar, Front Bucket Seats, Front Center Armrest w/Storage, Front reading lights, Fully automatic headlights, Illuminated entry, Knee airbag, Low tire pressure warning, Occupant sensing airbag, Outside temperature display, Overhead airbag, Overhead console, Panic alarm, Passenger door bin, Passenger vanity mirror, Power door mirrors, Power driver seat, Power steering, Power windows, Radio data system, Radio: AM/FM Audio System, Rear anti-roll bar, Rear reading lights, Rear seat center armrest, Rear side impact airbag, Rear window defroster, Remote keyless entry, Security system, Speed control, Speed-sensing steering, Split folding rear seat, Steering wheel mounted audio controls, Tachometer, Telescoping steering wheel, Tilt steering wheel, Traction control, Trip computer, Variably intermittent wipers, and Wheels: 16" x 7" Steel w/Full Wheel Covers. CVT with Xtronic. Our Sales, Service and Parts Departments work closely together to provide you with the most enjoyable, least stressful car-buying experience possible. The average tenure for our sales people, managers, technicians and all other employees is over 20 years. Most of them have been career employees of Middletown Nissan - and with that much experience, you can be sure they'll provide you with the highest quality care for you and your vehicle. We are also proud to be a Better Business Bureau Accredited Business with an A+ rating. 2019 Nissan Altima 2.5 S 2.5L 4-Cylinder CVT with Xtronic AWD Brilliant Silver Metallic 4D Sedan 2019 is here!! All remaining 2018's will be priced at close out pricing! Even some 2018's With great options like CVT with Xtronic, 4-Wheel Disc Brakes, 6 Speakers, ABS brakes, Air Conditioning, AM/FM radio: SiriusXM, Body-Colored Splash Guards, Brake assist, Bumpers: body-color, Cloth Seat Trim, Delay-off headlights, Driver door bin, Driver vanity mirror, Dual front impact airbags, Dual front side impact airbags, Electronic Stability Control, Floor Mats & Trunk Mat, Four wheel independent suspension, Front anti-roll bar, Front Bucket Seats, Front Center Armrest w/Storage, Front reading lights, Fully automatic headlights, Illuminated entry, Knee airbag, Low tire pressure warning, Occupant sensing airbag, Outside temperature display, Overhead airbag, Overhead console, Panic alarm, Passenger door bin, Passenger vanity mirror, Power door mirrors, Power driver seat, Power steering, Power windows, Radio data system, Radio: AM/FM Audio System, Rear anti-roll bar, Rear reading lights, Rear seat center armrest, Rear side impact airbag, Rear window defroster, Remote keyless entry, Security system, Speed control, Speed-sensing steering, Split folding rear seat, Steering wheel mounted audio controls, Tachometer, Telescoping steering wheel, Tilt steering wheel, Traction control, Trip computer, Variably intermittent wipers, and Wheels: 16" x 7" Steel w/Full Wheel Covers. CVT with Xtronic. Our Sales, Service and Parts Departments work closely together to provide you with the most enjoyable, least stressful car-buying experience possible. The average tenure for our sales people, managers, technicians and all other employees is over 20 years. Most of them have been career employees of Middletown Nissan - and with that much experience, you can be sure they'll provide you with the highest quality care for you and your vehicle. We are also proud to be a Better Business Bureau Accredited Business with an A+ rating. 2019 Nissan Altima 2.5 S 2.5L 4-Cylinder CVT with Xtronic AWD Deep Blue Pearl 4D Sedan 2019 is here!! All remaining 2018's will be priced at close out pricing! Even some 2018's With great options like CVT with Xtronic, 4-Wheel Disc Brakes, 6 Speakers, ABS brakes, Air Conditioning, AM/FM radio: SiriusXM, Body-Colored Splash Guards, Brake assist, Bumpers: body-color, Cloth Seat Trim, Delay-off headlights, Driver door bin, Driver vanity mirror, Dual front impact airbags, Dual front side impact airbags, Electronic Stability Control, Floor Mats & Trunk Mat, Four wheel independent suspension, Front anti-roll bar, Front Bucket Seats, Front Center Armrest w/Storage, Front reading lights, Fully automatic headlights, Illuminated entry, Knee airbag, Low tire pressure warning, Occupant sensing airbag, Outside temperature display, Overhead airbag, Overhead console, Panic alarm, Passenger door bin, Passenger vanity mirror, Power door mirrors, Power driver seat, Power steering, Power windows, Radio data system, Radio: AM/FM Audio System, Rear anti-roll bar, Rear reading lights, Rear seat center armrest, Rear side impact airbag, Rear window defroster, Remote keyless entry, Security system, Speed control, Speed-sensing steering, Split folding rear seat, Steering wheel mounted audio controls, Tachometer, Telescoping steering wheel, Tilt steering wheel, Traction control, Trip computer, Variably intermittent wipers, and Wheels: 16" x 7" Steel w/Full Wheel Covers. CVT with Xtronic. Our Sales, Service and Parts Departments work closely together to provide you with the most enjoyable, least stressful car-buying experience possible. The average tenure for our sales people, managers, technicians and all other employees is over 20 years. Most of them have been career employees of Middletown Nissan - and with that much experience, you can be sure they'll provide you with the highest quality care for you and your vehicle. We are also proud to be a Better Business Bureau Accredited Business with an A+ rating. Recent Arrival! 2019 Nissan Altima 2.5 S 2.5L 4-Cylinder CVT with Xtronic AWD Deep Blue Pearl 4D Sedan 2019 is here!! All remaining 2018's will be priced at close out pricing! Even some 2018's With great options like CVT with Xtronic, 4-Wheel Disc Brakes, 6 Speakers, ABS brakes, Air Conditioning, AM/FM radio: SiriusXM, Body-Colored Splash Guards, Brake assist, Bumpers: body-color, Cloth Seat Trim, Delay-off headlights, Driver door bin, Driver vanity mirror, Dual front impact airbags, Dual front side impact airbags, Electronic Stability Control, Floor Mats & Trunk Mat, Four wheel independent suspension, Front anti-roll bar, Front Bucket Seats, Front Center Armrest w/Storage, Front reading lights, Fully automatic headlights, Illuminated entry, Knee airbag, Low tire pressure warning, Occupant sensing airbag, Outside temperature display, Overhead airbag, Overhead console, Panic alarm, Passenger door bin, Passenger vanity mirror, Power door mirrors, Power driver seat, Power steering, Power windows, Radio data system, Radio: AM/FM Audio System, Rear anti-roll bar, Rear reading lights, Rear seat center armrest, Rear side impact airbag, Rear window defroster, Remote keyless entry, Security system, Speed control, Speed-sensing steering, Split folding rear seat, Steering wheel mounted audio controls, Tachometer, Telescoping steering wheel, Tilt steering wheel, Traction control, Trip computer, Variably intermittent wipers, and Wheels: 16" x 7" Steel w/Full Wheel Covers. CVT with Xtronic. Our Sales, Service and Parts Departments work closely together to provide you with the most enjoyable, least stressful car-buying experience possible. The average tenure for our sales people, managers, technicians and all other employees is over 20 years. Most of them have been career employees of Middletown Nissan - and with that much experience, you can be sure they'll provide you with the highest quality care for you and your vehicle. We are also proud to be a Better Business Bureau Accredited Business with an A+ rating. Compare the Nissan Altima vs. Nissan Sentra or Honda Accord if you are still deciding which sedan is right for you. 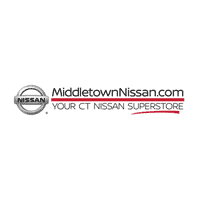 Here at Middletown Nissan near Cromwell, we strive to make your car buying experience as simple and enjoyable as possible. We always have a large inventory of new Nissan models to ensure we have just the right option for every budget and preference. You can rest assured you’ll get an unbeatable deal with our flexible financing, lease options, and new vehicle specials. We’ll take care of you long after the sale as well with our expert Nissan service and parts departments. Please contact us with any questions related to our inventory or to schedule a test drive. Our friendly team at Middletown Nissan will be happy to assist you.